IF you need to, brush them with butter when they come out of the oven. Throw them in a basket, be prepared to make more... they're delicious. Thanks for all your support, I'm trying a new thing trying to link the blog and the YouTube channel which finally has MY name on it, so I'm Tracy Cooks in Austin everywhere!!! Pancakes, in the pressure cooker, in little molds, so sort of like pancake muffins, they're yummy and super easy and totally hands off! Ok, there's a ton of things you can do with a pressure cooker, and there's a ton of things you should NOT cook in it... just because you can doesn't ever mean you should. That being said, pancake muffins... yeah man and you use a mix because, if you're going to junk food it, do it all the way. No, not bisquick, sorry, but no. get the cheapie all in one pancake mix, the one where you just add water, that's the level of hack we're doing here. Trust me, when I go rogue, I go all the way and yeah, they're delicious, weird, sure, but yummy. My chocolate chip Pancake bites. Full the mold, use it all. Remove from pot and let rest 10 minutes. Pop them out of the mold. Eat with whatever dipping sauce floats your boat. I’d say they save or freeze but it’s 7, they all go. I'm doing a video but wanted to get the quick and dirty details out... enjoy, go make them!!! I have a smoker and regularly make hot smoked salmon. I love my smoker and I wished my mom could have the same thing, she doesn't have a smoker. She does, however, have an instant pot pressure cooker and I decided I would try to find a way she could make the salmon I make here but there, without a smoker. I think I've done it. Sprinkle fish with equal amounts of sugar and salt and sprinkle a little cinnamon, leave to dry at room temperature. When cycle finishes, open lid, pour one generous tablespoon of water on the hot chips. Put trivet and plate with salmon in the pot, close lid. Open, remove salmon, shut off pot. LET it rest, covered, till double, about 45 mins. THROW it all in a saucepan, boil till it's thick, put aside. Roll balls flat, there's a technique, i'll show you in the video tomorrow. put filling in each, seal and put on parchment squares and put in the steamer to rest about 10 mins. Put steamer over boiling water, steam 15 mins, remove steamer, covered, and let it rest 5 mins. I have a recipe in my back pocket for 30 years, easily. I can make this in my sleep, sometimes with peanut butter, sometimes without. Nothing else changes, either add it or don't. So, I did a new video to update these little mini crustless quiches, also known as Egg Bites and copycat starbucks sous vide egg bites, but they're just crustless quiches :) so easy, so delicious, so fast and eggs and pressure cookers are just best friends! this is more a method than a recipe. For the babyfood silicone mold, I fill each about 1/3 full of whatever makes me happy. Today it's bacon, green onion, fried onion. sometimes I add potatoes or whatever roasted veggies I have left over, the list of possibilities is ENDLESS. I use 4 eggs, 1/2 cup cheddar cheese and 1/3? cup heavy cream in my blender and whip till smooth. Fill the mold and steam, over about a cup of water, on steam setting for 7 minutes, leave to rest about 10 and then leave on the counter a few more so they set up. Easy. Faster than traditional? no way but the texture is different and tender and I prefer them this way to baked. 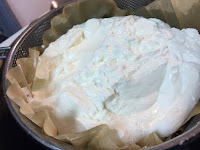 You can add other cheese, cottage cheese, cream cheese, again the list is endless. Play with what makes you happy. Go make these. I like to hoard a little of the veggies and/or meats from the week and on the weekend make a mountain of these, in the little molds and in the jars and in whatever else you have and then you have a week of snacks. I do like to take these, when they're cold, and slice and put them in sandwiches...too yummy! 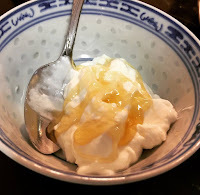 Combine in a cold cooker, put a lid on top and set YOGURT button to 8 hours When it's done, transfer liner, covered, to the fridge and leave to chill completely (I do overnight) Transfer the yogurt to containers or strain it. Save the whey to use in cooking in place of any liquid in a savory dish. It will stay in the fridge for a couple of weeks, then make more! Whisk everything except butter and salt in saucepan. Ok, now put it on medium low heat and stand at the stove with it and whisk it slowly and gently and constantly. Don't let it boil, obviously, you'll have a disgusting mess. If you think it's getting too hot, slide it off heat for a moment, keep whisking then slide it back onto the heat. I dare you to tell me you don't have 6 spare minutes to make the best lemon curd, E.V.E.R. Add the salt and butter off heat. This is a quickie, driveby recipe. I have a video on youtube with the recipes as well, the link is below. Pinto Beans in my Instant Pot pressure cooker, easy, no soaking... OH and they're yummy! I make pinto beans in my pressure cooker, today in the instant pot. I never plan ahead well enough to soak and boil and season and cook... I'm a dump and run kind of gal and this recipe is the perfect side for those us who plan badly. ***you can add whatever you like! chilies, green roasted or red, garlic, celery (? some people do) you can add peppers, roasted or not, the list of possibilities is endless! Drop fat in hot pressure cooker. Fry the onion till it's tender and a little coloured. Add the can of chili and tomato and water to come to 2 cups measure. Add the beans and dpressure cook on high for 48 minutes. Natural or quick (gentle) release and you're done! Stir it all up, set the pressure to high and time 48 minutes. It won't take too long to come to pressure because the pot was hot. You can either quick release or just leave it, I tend to forget about it and just leave it, open and look how beautifully cooked they are! perfect, not mushy but cooked through, yeah, they are yummy. THIS is when you salt and pepper and serve up. Try these beans, they're easy, delicious and you don't have to plan ahead. I hope you made these and enjoy them.